On first visit to Ireland, Brazilian Cardinal João Braz de Aviz says Church is in need of purification. The Prefect of the Vatican’s Congregation for Consecrated and Apostolic Life has acknowledged that many of the Irish Church’s 9,000 Religious have suffered in recent years. But Cardinal João Braz de Aviz, who oversees thousands of nuns and priests around the world, urged them not to be afraid but to place their trust in God. 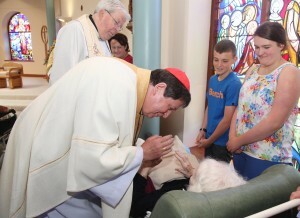 He was speaking towards the end of Mass in the Cathedral of Christ the King in Mullingar on Saturday evening where he concelebrated Mass with Bishop Michael Smith of Meath on the first day of his two-day whistle-stop visit to Ireland. 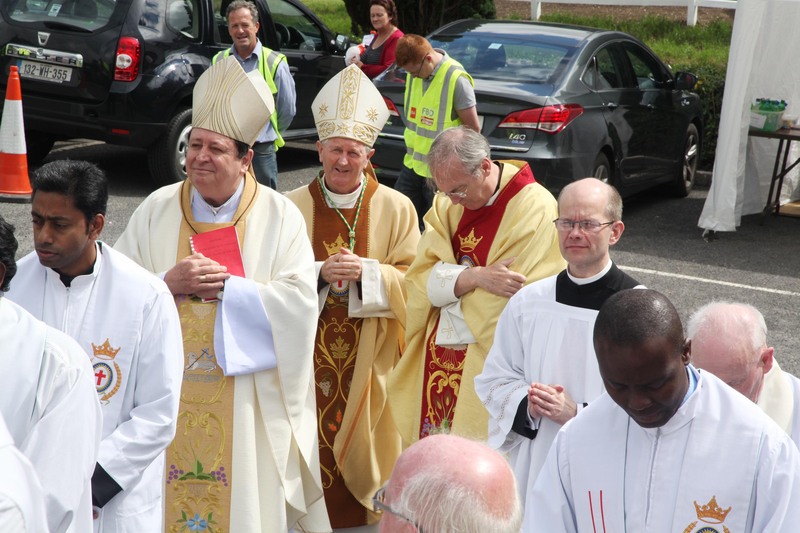 Earlier in the day he met 60 superiors of religious orders at a meeting hosted by the Conference of Religious of Ireland (CORI) in the Emmaus Retreat Centre in Swords Co Dublin. Cardinal de Aviz reminded the congregation in Mullingar that next year the Church will celebrate the year of consecrated life. Cardinal de Aviz said his short visit was to mark the 400th anniversary of the death of St Camillus de Lellis on 14 July 1614. On Sunday, the Brazilian prelate concelebrated Mass with Bishop Michael Smith at the Camillian’s Nursing Home in Killucan in Co Westmeath. Afterwards he met elderly and sick residents there. 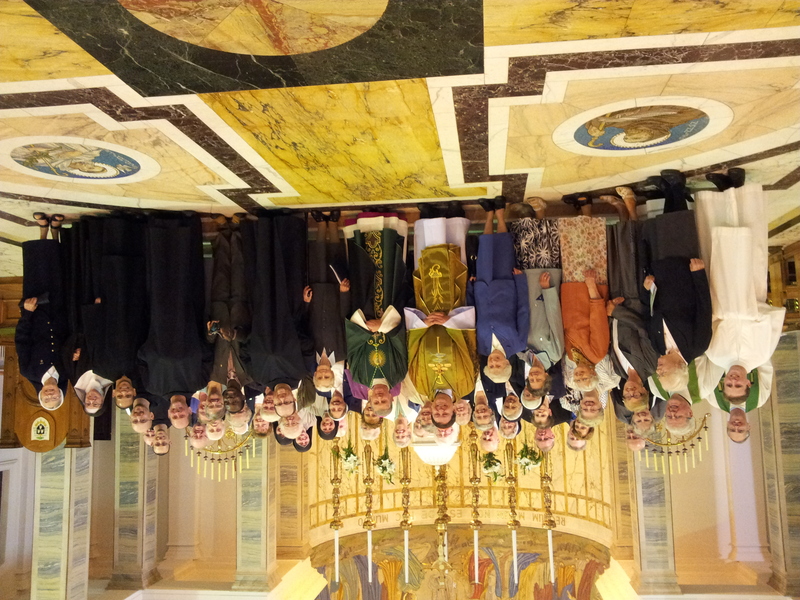 “I am primarily here at the invitation of the Camillian religious – it was an invitation to share their joy in commemorating 400 years of Camillian service within the Church and their charism to the people of God,” Cardinal de Aviz said in his homily. He also joked that he didn’t think he would be treated as well as he had been, and that the welcome he got must be Irish hospitality. “I have met sons of Camillus who give their lives to care for others. In doing so, they serve the Lord – this is the service to the widows, the orphans, the stranger but above all to the sick,” he said. Fr Stephen Foster, superior of the Anglo-Irish province of the Camillians, said the celebration of the 400th anniversary had been going on for a year in the 40 countries around the world in which Camillians are to be found. “The Camillians are here to stay in every country that we are present in,” he assured. “We don’t really have any difficulty with vocations in Africa, Asia, South America, Poland. We have a big drop in vocations in Europe but what we are hoping for is that the tide will turn and we’ll get more vocations in the future because there must be Irish Camillians out there who just haven’t been called yet,” 57-year-old Fr Foster said. There are 15 members in the Anglo-Irish province who are assisted by 10 Indians bringing the total to 25. The province also has 16 students who are based in Uganda, the Philippines and Kenya. Fr Foster, who organised the visit of the relic of St Camillus’ heart to Ireland a few years ago, said the Italian Saint’s life shows that anybody can become a saint. 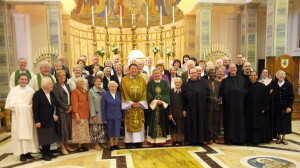 Cardinal De Aviz meets Religious based in the Diocese of Meath. The future patron saint of the sick and the suffering was surrounded by the sick when he was a mercenary but because he was addicted to gambling he couldn’t see them. When he got hurt and was in the valley of hell, he realised what a terrible life he had led. “He said, ‘No more the world for me’ and was converted to God. When he focused on Christ on the cross and in the Eucharist, he suddenly became aware of Christ in the sick. He realised that this was where he was meant to be and so he called a few volunteers together,” Fr Foster explained. That was when the Camillian charism took root.